Effects of Climate Change on Energy Production & Use in the U.S. 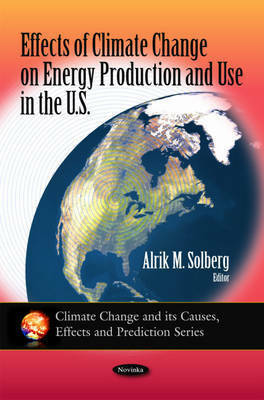 This book summarises what is currently known about effects of climate change on energy production and use in the United States. It focuses on three questions: 1)How might climate change affect energy consumption in the U.S. 2) How might climate change affect energy production and supply in the U.S. and 3) How might climate change have other effects that indirectly shape energy production and consumption in the U.S. Generally, it is important to be careful about answering these questions for two reasons. One reason is that the available research literature on many of the key issues are limited, supporting a discussion of issues but not definite conclusions about answers. A second reason is that, as with many other categories of climate change effects in the U.S., the effects depend on more than climate change alone, such as patterns of economic growth and land use, patterns of population growth and distribution, technological change, and social and cultural trends that could shape policies and actions, individually and institutionally. This book concludes that, based on what we know now, there are reasons to pay close attention to possible climate change impacts on energy production and use and to consider ways to adapt to possible adverse impacts and take advantage of possible positive impacts.